Below is a simple and easy guide to help you choose the best workout shoes and keep you injury free. Additionally, there are different categories of running shoes. Buying shoes from a specialty store. Shoes are some of the most important personal items that we have. Men, women, and children alike fascinate over their style, technology, and materials and build. For instance, you want to go outside or go to the gym or even go for a simple walk or hike. However, you find it difficult because sometimes you get foot, knee pain or leg cramps. One reason may be due to the type of shoe you’re wearing. This post may contain affiliate links. Read Disclosure page for more information. There are specific athletic shoes for specific activities and terrain. Exercises such as walking, running, aerobics and all other types of sports require specific types of workout shoes. It is important to note the physical looks of a training shoe have little or nothing to do with its effectiveness. The support aspect of gym shoes breaks down at a much faster rate than the outside appearance of the gym shoes. Supporting the above fact, experts have also made it clear that worn out workout shoes are one of the leading causes of injuries. Knowing how to choose good training shoes is the easiest way to get durable exercise shoes and consequently prevent injuries. I made this handy-dandy tracker so you can plan your week better. Running shoes are designed with a very complex sole and flexibility that helps increase the distance of the foot which is specifically intended for running. When looking for the most comfortable running shoes, chose a product that has good cushioning, grip and stability. If you do more of running, you should invest in a good running shoe because their construction supports your movement better. Road running shoes- are designed if you are going to run on pavement, and are made to be light and flexible. They should have a certain amount of cushion or stabilization depending on how you stride and your foot anatomy. Trail running shoes- Are made if you are going to go off trails, such as muddy areas, rocky routes or other obstacles. They have a pretty aggressive tread for traction. To provide more stability and support as well as for protection. Proper footwear for running trails is essential. When it comes to water activities, there are specific designs to consider. Make sure it has a large toe area to allow your toes to move freely without being inhibited. The shoe should be anti-skid and provide a firm grip to reduce the risk of slipping. Basketball, tennis and volleyball sports need footwear that allows movement and flexibility. You need rubber soles to help you move from one place to another quickly. For sports like football, baseball, and other outdoor activities, pay extra attention to the cleats or spike of the shoes to ensure support and promote better traction. Are designed for going to the gym or functional fitness workouts, or any activities requiring balance. Where the activity requires that you have more contact with the ground. 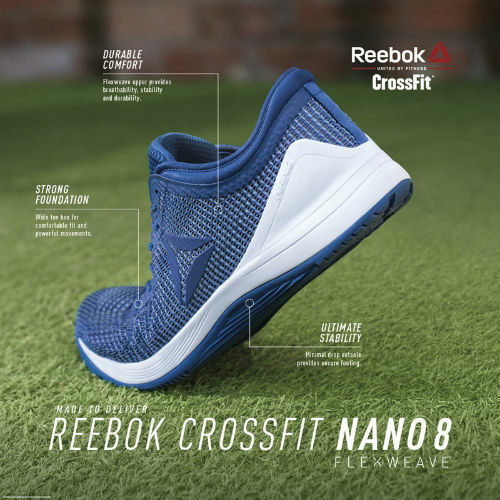 Cross training shoes are designed with more stability over the ankle area for additional support. They are not intended for long runs. They work well with forwarding and lateral movement. High-impact workouts- such as kickboxing, step classes, and cardio funk are just some examples of high-impact exercises. The best high-impact shoes are the different gym sneakers that offer sturdy support to protect the knees, ankles, and feet. Aerobic exercises- Aerobics involve a variety of movements including twisting, twirling and side movements. For aerobics shoes, you need to find footwear that has adequate padding to absorb pressure and appropriate arch design to help your feet neutralize different movements. Walking is a lower impact exercise. A walking shoe is a comfortable shoe which has a soft upper and good shock obstruction it also has a smooth thread, and a rocker-type sole that encourages your foot to roll naturally during walking. The best workout sneakers must have greater heel support which is intended for a long walk. When you buy, choose one which has a proper cushion that protects your sole, heel and foot. If you prefer walking exercises, getting the right walking shoe is essential. Walking as an exercise is a different motion than running so the weight, flexibility and cushioning of the walking shoe is different. Each sport or exercise form has a different requirement for shoes; hence a mix-up can lead to ugly accidents. It is imperative not to wear a running, walking or basketball shoe for aerobic classes. Kickboxing, step, low or high impact aerobic classes all travel side-to-side as well as front to back. The support running and walking shoes give for a front to back motion. You could easily sprain your ankle wearing running or walking shoes while doing aerobic classes. You might think that a basketball shoe would work well for aerobic classes because they support all angles of motion but not really. They are usually stiff and heavy, so the moves done in aerobic classes do not do well with basketball shoes either. Aerobic classes require either aerobic shoes or cross trainers. They support the moves you will be doing and are the best weight and flexibility for aerobic classes. If you want an all-around shoe, the cross trainer may do the job for you. Cross training shoes support from varies angles and are generally lighter than shoes meant for basketball. The availability of too many exercise shoes can be confusing, but it is also a blessing. There are even women’s workout shoes, and exercise shoes also meant explicitly for men. Each helps to prevent sports injuries so do not be discouraged by the time spent finding your perfect training shoe, as you will have a much better chance of being injury free. The time of day you shop for your workout shoes is important. Shopping for shoes in the morning is not the best, because your feet are smaller so your shoes may be too tight. The better time to shop for your exercise shoes is at noon time. Be sure to bring along the socks you will be wearing also, so you get the best fit possible. Finding out if your feet pronate or supinate is very important. Some people pronate or roll their feet in favoring the inside of the foot when they walk while others roll their feet out, supinate, favoring the outside of the foot while walking. Some shoes address both issues. It is essential to know if your feet have either of these conditions. There are shoes designed to help with both conditions. If you pronate and you buy a shoe for those who supinate the shoe will make your pronation worse! Take a look at the bottom of your shoes for signs of wear and tear patterns. There’s a good possibility that you pronate if you find most of the wear inside the sole next to the ball of your foot and near the big toe. You may also find out that your shoes tilt inward if you look at them on a flat surface. The next thing to do is bare feet examination. Take a look at your bare feet to see if you have low arches or flat feet. Another way to tell if you pronate is to examine the shins of your feet. Trace the line of the bone from your knee down to your leg ankle. A line leading toward the inside portion of your foot indicates overpronation. The wear on your shoes is normal when it goes from the outer edge of the heel to the midpoint. However, when your shoes are more worn out on the outside side of the sole, you may be a supinator. Dip your whole feet into a bowl of water or oil; step out onto a dry surface (preferably a brown paper bag) where you can see the points of your foot. A half arched footprint indicates regular foot pattern, while very little or none arch outline means that you are a supinator. They have trained specialists that can help you choose what type of shoe is appropriate for your activity and gait. Sometimes they have a unique sensor that can sense if you are a pronator overpronator or under-pronator. Besides, some of the specialty stores have a guarantee for you to try your shoes within a certain amount of time. Your shoes should be comfortable, there should be a firm grip, and your heel should not be slipping off your shoe when you walk or run. Also, keep in mind that although we’d like to for things to last forever. The cushion on your shoe only last for a few hundred miles or a few hundred hours of activity the cushion and usually wears down and may not offer the same support that it was when you first purchased it. My favorite socks are made of wool. Wool has specific properties that wick moisture and keep your feet dry. Smartwool has discovered a way to make running socks soft and stylish as well. If needed, there are sports insoles available. You may decide to get a pair, whether generic ones from the store or even of custom arch supports recommended by your provider. Following the information provided will assist you in choosing the best training shoes for injury-free exercise sessions. If you enjoy your workout, you are likely to continue instead of having injuries that would hold your health back. Please share how to keep active and what type of shoe works for you in the comments section. Want more wellness and fitness content? Join our tribe for updates! I was about to start exercising again, did not no there were so many types of shoes! Thank you for the tips! This is excellent! I never knew the importance of picking out athletic shoes for specific activities. Thank you for this detailed list!